The Maryknoll Redevelopment project is now completed with the first residents having moved in, and we are proud to share with you a selection of photographs of the completed project. 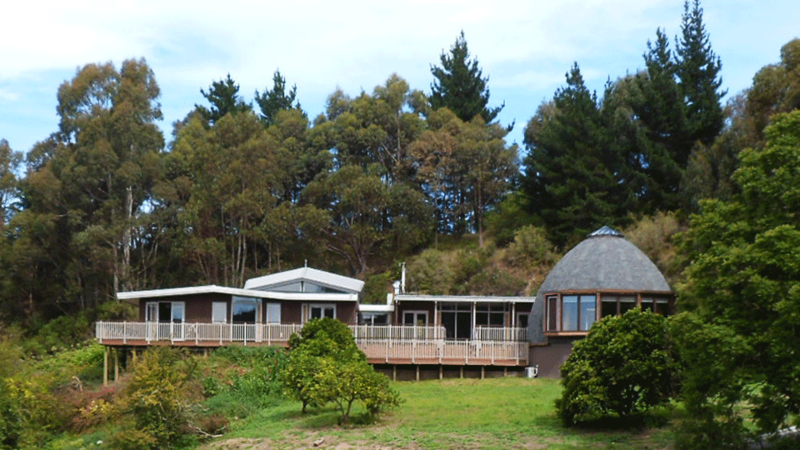 Maryknoll was originally designed and constructed in the 1960’s as the Second Novitiate for Mount St. Mary’s Seminary, Hawke’s Bay. Circumstances have changed and the brief for this project was to upgrade the existing building to accommodate retired priests, as well as to design a new chapel. Two of the elements of the building that we have been particularly excited to watch come to fruition have been the timber screen in the secondary lounge and the Chapel. The screen is the defining element in the large, lofty former internal chapel, and was a lot of fun to design. We are delighted with its finished form and thanks must go to Molloy Joinery for their fine craftsmanship and to Resene for getting our specially mixed timber stain colour just right. 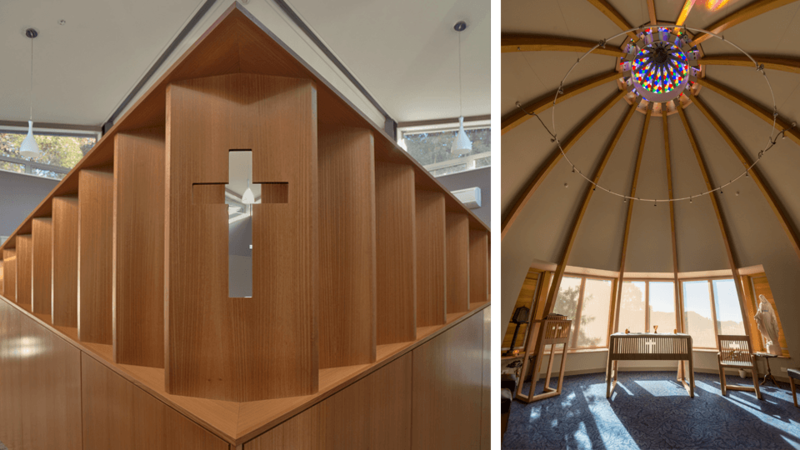 The chapel with its fourteen arching glulam ribs, curving walls and stain glass skylight was always going to be a challenge to build and much credit must go to Simkin Construction and Nichol Glass & Aluminium for the dramatic and beautiful final result. The Maryknoll Chapel redevelopment was awarded the 2013 NZIA Gisbourne/ Hawkes Bay Architecture Award - Small Project Category.